Disinformation often thought of in electoral context: Stat: 50% of tweets relating to 2016 election included false information of some sort. 2016 Election put fake news & disinformation on the map, but prevalent from education to healthcare to climate change to poverty, etc. Hewlett’s Madison initiative– Nonpartisan effort to improve US Democracy. Goals: Uphold guardrails of democracy; Supporting the institution of Congress, Improve campaigns & elections; Combat digital disinformation. Production– Great, important work to create stronger content, but not enough on it’s own. Consumption– Some citizens better able to make sense of info with fact-checking, smarter, more diverse consumption, but also not enough especially in polarized societies. Distribution– Where and how the content shows up. This is where Hewlett focuses. Technology, social media in particular, makes it easy now to amplify artificial ideas. All this makes it hard for us to have a common conversation. Why is social media a different kind of platform? Fragmentation & overload makes it hard to process the volume of content and understand the issues. Personalization & microtargeting- Can now target inflammatory content that exploits known vulnerabilities to very specific audiences. Platforms not incentivized to solve the issue: Science says people want news that reinforces their ideology, is emotionally engaging (ex: outrage induces engagement). Hewlett approach is to focus it’s $10M research fund to eventually influence the handful of platform companies rather than a more diffuse strategy of all newsrooms, public as a whole. Fact check- Day late, dollar short though. How do you encourage behavior change to make people less susceptible to disinformation? Encourage critical self reflection of consumption. Call out the liar not necessarily the lies – expose the agenda. May be advantageous to use the terms lies, false news, disinformation rather than the fraught “fake news” which can inflame the issue. Media literacy classes can help change knowledge, skills, and behavior. What are the platforms doing? Platforms make their own rules – know the terms of service! Report, flag disinformation. Platforms more responsive than ever. Audience exercise: Should editing content that violates terms of service be done automatically? Examples of disinformation on social media showed it’s very tricky for humans to make decisions on these given the subtleties of language use and grey areas, even harder for algorithms. Privacy considerations and not breaking encryption important- think of the protester, journalist writing pieces their government disapproves of. Leaving a site backdoor that leaves people vulnerable to abuse by political sources, law enforcement, etc. not the preferred solution. No single answer to how to solve the issue, humans still have advantages over machines as the best solvers. Trust in media at an all-time low. Partisan divide is the widest in 25 years. 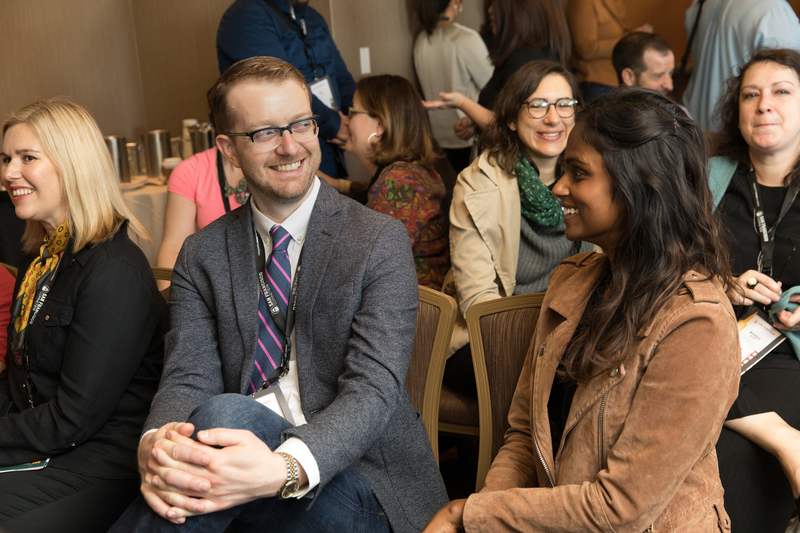 Convening- Connecting news influencers across backgrounds – Philanthropies have opportunity to push their convening power here. Innovation- Ex: Cortico, a tool to help reporters surface stories that may be unheard. Engagement- Ex: Report for America, Emerging journalists embedded in newsrooms across country. Local News- Ex: NewsMatch initiative looks at matching gifts to local news. Venture funding for philanthropy to support local journalism. Knight Commission on Trust, Media and Democracy: Foundations can leverage ability to bring people together across divides. Knight-Gallup research series that explores American perceptions of the media and issues including misinformation. Help your org respond to the pace of tech. And create campaigns that attract ideas from new innovators. Q: How do you balance ignoring vs. confronting the liars – not wanting to elevate disinformation spreaders but not wanting to ignore it either. A: Who’s watching the source? If it’s influential, attack, if not, ignore. Q: How do you deal with philanthropy funded front groups propping up bad actor industry players. How do we begin to talk about this issue in philanthropy? A: Data gap a problem. No dashboard to track disinformation. We need a field resource that can help orgs and people have a unified place to turn for data to help track the issue, understand the sources, relationships, money behind disinformation campaigns. Q: Issue feels less like fighting back to disprove disinformation but to disrupt it somehow. How best to fight back against effective persuasion techniques – fake news? A: Extreme content gets engagement, which brings ad revenue, incentivizes platforms to not intervene, which leads to further polarization. Need to try and influence the platform operators, algorithm editors to help take responsibility to better address the issue when they design interventions.